If you are dreaming of your idyllic personalized urban farm in your backyard, here are a handful of ideas to get your ideas flowing and your shovels digging. Planting a well-producing fruit tree is like printing your own money. They are low-maintenance and produce year-after-year. But, it’s important to plant the right variety that is hardy enough to produce fruit in variable Front Range springs. Growing fruit is very easy and does not require extensive work. However, it is critical that growers water regularly – even in the winter. If you’re willing to water monthly (or weekly when trees are first planted), you’re qualified to grow fruit. Apples – Apples are one of the most sure-fire fruits to grow on the front range. The fruits are delicious and add unique fall flavor to any yard. The Front Range has a long and intriguing history of apples, with many rare and historical varieties preserved and offered in our selection. Pears – Pears do relatively well in our area, possibly even better than apples. They are somewhat susceptible to early freezes, but the fruit are delicious. White blossoms appear in early spring, and the green foliage turns red-purple in the fall. Sour Cherries – Cherries speak for themselves – they’re delicious and prolific. We offer both sweet and sour cherry trees. While sweet cherries are most popular in grocery stores and farmers’ markets, we actually suggest sour cherry trees. Like much in life that is desirable, sour cherries are hard to come by, hard to keep, and worth seeking out. On the Front Range, they also grow and produce much better than sweet cherry trees. European Plums – European plums produce great here: high quality medium-sized round fruit with deep blue skin and sweet, juicy yellow flesh. They are great for eating right off of the tree, but also for jams and preserves. Peaches and Apricots – Unfortunately, we don’t highly recommend peaches or apricots on this side of the Continental Divide. While the Western Slope produces juicy monsters, they only “do ok” here. Due to early frosts, you can only expect a good crop every 2-3 years. However, we’re happy to supply them for any diehard peach fans! If you want to have truly “wild fun”, grow your own legal party garden. Instead of purchasing a pesticide-laden intoxicant, grow your vices yourself! Then, at least you know your Saturday night fun is healthy and homegrown. Here are some ideas…. Grapes – For wine or for eating, with seeds or without, thin or thick skinned, the possibilities and varieties are endless. Unlike fruit trees or bushes, grapes are actually a vining crop that should be suspended on a trellis or other structure to enable proper fruit growth (many people use hog panel or deck pergolas for their grapes). If you’re making wine, variety is everything. So do your research and keep them organic. Hops – Organic local hops are currently a hot commodity as the Denver craft beer scene continues to grow. Most hops are grown in the Pacific Northwest, but we think local botanicals make the best local beer. Hops are an amazing plant. They can grow up to 25′ tall, weighing hundreds of pounds once mature. We suggest growing hops up the side of your house, providing enough height for the plant and creating a living hoppy wall that is sure to impress any beer snob neighbor of yours. Most common sure-fire varieties are Chinook and Cascade. Tobacco – Most people agree cigarettes are disgusting, but not because of the tobacco. Tobacco is a beautiful plant. It grows prolifically, much like a tomato plant. The seeds are extremely small and a bit of a pain to start, but you won’t be disappointed once your’re growing beautiful heirloom tobacco in your backyard. Take that Big Tobacco. Ever heard or currants, gooseberries, Nanking cherries, seaberries, or jostaberries? If the answer is “no”, you’re not alone. But fruit bushes are amazing like fruit trees – they produce year after year, require very little maintenance, and produce an abundance of delicious sweet fruit. They’re also flowering and beautiful at certain times of year, making your backyard urban farm even more appealing. Many of these fruit bushes grow amazing in Colorado. They also taste superior and contain more nutrition than the more classic fruit from the grocery store. To get the best, most adapted varieties, we suggest checking out our friends at Colorado Food Forest, who sell a number of adapted varieties. The best Denver Urban Farm we’ve ever seen was not just growing plants, but fungi! Mushrooms are simple and amazing to grow. 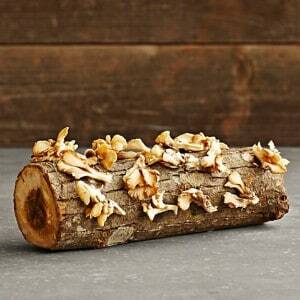 Grab a log (kind of log depends on the variety of mushroom you want to grow). Fresh cottonwood logs are usually the easiest to find in Denver and work pretty well. Logs should be cut to lengths of 3–4 feet, and are best if they do not exceed approximately 8 inches in diameter. Buy mushroom inoculant plugs. Most people buy from Fungi Perfecti, the most well-known business for homegrown mushroom spores. While perennials are easier, nothing holds a candle to the taste (and smell) of fresh basil, cilantro, parsley, and dill. These herbs aren’t going to survive the Colorado winter, so must be planted each spring. We suggest planting annual herbs in pots or a raised bed as close to your kitchen as possible. These herbs (except cilantro) should be transplanted to maximize your harvest. Duh. This is the bread and butter of the Urban Farm Company. If you need inspiration or a reminder of what veggies you can grow in raised beds in Colorado, check out our Veggie Menu. Be sure to check out 24 Tips to Growing Food in Raised Garden Beds. It’s the juiciest information we have about gardening in raised beds. Why raised beds? 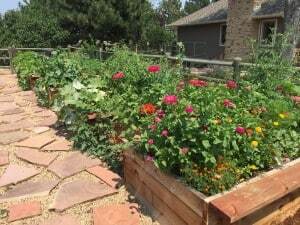 Raised garden beds are a great option for gardeners in Colorado because they help control these five variables that are critical to success. Allow you to fill gardens with an ideal soil mix without having to deal with amending the clayey or rocky existing soil. Allow you to use easy spacing methods for planting. I suggest a square foot method for easy spacing. Easier to attach trellises, drip irrigation, and season extension. Less bending and stepping on soil. Warm up faster in the spring. Go take a look at your side yard, then imagine these raised garden beds instead….want some? Get a quote from us. Endless eggs. Organic, humane, and pasture-raised. Need we say more? Fresh eggs make the best friends at Sunday brunch, their manure fertilizes your yard and chickens also eat your kitchen scraps so you don’t need a compost pile (so you can skip #13 below). Chickens don’t take up a lot of space, are kid-friendly, and lay almost an egg per day. 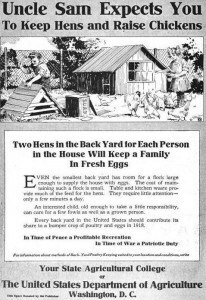 In 1918, Uncle Sam wanted all American’s to have a backyard chicken coop. Here’s the cool ad they posted telling people to “coop up”. We suggest investing in a high-quality coop. One that will keep your chickens warm during the winter (chickens hate cold drafts), and also prevent predators from creating a slaughterhouse in your backyard. Nothing will turn you off from chickens faster than seeing them killed by a coyote or raccoon. To house six to twelve eggs, that means building your own coop, or shelling out $600-$1,200 for a carpenter or professional to build one for you. By the way, it’s illegal to have more than six hens, so this is your chance to practice the best form of Denver urban farming “civil disobedience”. 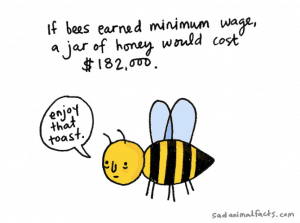 Bees are also amazing “pets”, but require a bit more expertise than chickens. If you’re willing to commit some time to understanding their lifecycle and needs, then you’ll learn how magical they are as a species. But also prepare yourself for potential heartbreak. Looks can be deceiving and “perfectly healthy” hives can disappear in a season as part of the larger issues with bees. It’s also sometimes difficult to find the actual bees (as a swarm or mail-ordered) to populate your hive. If you do decide to get bees, be sure to connect with the Colorado State Beekeepers Association. Their member groups offer experienced beekeepers with extensive experience, opinions, and advice for beginners. Education and outreach is a big part of their mission and you can find lots of information on their site for classes and other educational resources. Rabbits can be a valuable addition to the Denver urban farm homestead. Rabbits are raised primarily for meat, although they also produce manure and can be used for their fur. Domestic rabbit meat is nourishing, sweet, all white and tasty. Domestic rabbit meat is nourishing, sweet, all white and tasty. It’s not found in the grocery store, but is nutritious and delicious. Here’s the catch! Think about this before raising rabbits for meat…. 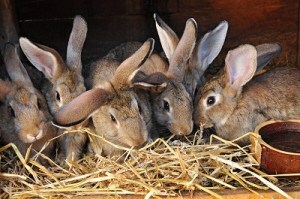 This Mother Earth News article covers good rabbit breeds for your urban farm. Here are four reasons why you should have backyard ducks (copied from Rodale). If you like chicken eggs, you will really love duck eggs. They are even richer and contain more protein, calcium, iron, potassium, and pretty much every major mineral than chicken eggs. The yolks are big and orange and the whites pure white. They are tops for baking, making cakes rise high and airy; are divine cooked soft boiled, poached, or over easy (the yolks are like satiny custard); and are just as good as chicken eggs for everything else. Plus, many breeds of ducks lay more eggs per year than most breeds of chickens do. Ducks thrive on the same foods as chickens, but they will graze and forage for a higher percentage of their own food than chickens will, which means less work for you. They also don’t take up much space. You’ll need a secure shelter in which to house them and protect them from wildlife (and neighborhood dogs), but just three to four square feet per hen is enough. Ducks are relentless hunters of pests, including—or, perhaps, especially—slugs and snails, which can destroy your tomato plants. Let them into the shade garden and they will keep the hostas free of slugs. Sic them on the tomato patch and there won’t be a hornworm in sight. Unlike chickens, which love to scratch in the dirt and upend your garden soil, ducks generally won’t disturb garden plants. Two exceptions are lettuces and ripe strawberries, both of which are duck favorites. And they will trample seedlings when their large, flat feet act like mini steamrollers across unprotected beds. OK, any bird is fun to watch. But ducks can be truly entertaining. They love to swim and will have great fun in anything from a dishpan to a kiddie pool, but all they actually need is a water dish that is deep enough to dip their entire head into, which they will do with great gusto and frequency. Find an area of your yard where you’re ok with a compost pile. 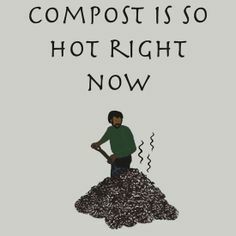 If you’re not sure what that’s going to look like, google “compost pile”. They’re not ugly, but they’re also not going to replace your beautiful stone fountain. Take a look at our brief blog post on how to build a compost pile. In a nutshell, layer 2″ of brown material and 2″ of green material at least 3′ tall, keep it moist, turn it regularly. Goats need space – Two goats need at least 500 square feet of space. But more space is better. Small spaces require much more work and feed, so think “more is better”. It’s hard work – As a rule of thumb, devote at least 45 minutes of work per day to your goats. And this work is unrelenting. If you milk twice a day, you must milk every single morning and night for the full period they are “in milk” (about nine months of the year). The Best Milk Ever – Most people keep goats for the milk. If you care deeply about the quality of your milk, and hate factory farmed milk, then goats may be your answer. The “best milk” is a heated and endless debate, but let’s just say goat milk is amazing. Far better than anything at the grocery store. 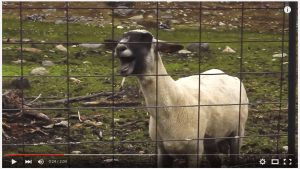 Goats eat a lot – If you’ve ever watched a goat, this is obvious. But know that it costs about $75 a month to feed a pair of goats. Goats need fresh greens in their diet, which they usually forage. But in the city, you’ll need to supplementally feed them with hay and alfalfa pellets. Goats are especially great if you have a huge grassy area of your property you have to mow. However, they are not going to mow your lawn clean. They will nibble at grass here and there, “creating a look very similar to Rod Stewart’s hairstyle”. **Warming – Do not go buy goats after reading this post. ** Instead, you should first read the book “City Goats” before making the plunge. If you are a single male in Colorado, growing flowers may rank as one of the single best things you can do to improve your odds of scoring a fellow female urban farmer. Not only are you attracting bees and beautifying your landscape, but homegrown cut flowers will make you St. Valentine, even just for a day. If you just want to start somewhere, here is a list of easy yet beautiful flowers to grow this season in your backyard urban farm. This list is from an Urban Farm Company employee who is growing these flowers for her wedding this summer – saving money and earning urban farm street cred in the process. Colorado has a relatively short 157 day growing season. (Better than the 10-day growing seasons of Crested Butte and Fraiser, CO). If you want tomatoes, peppers, and other warm crops year-round, a greenhouse is the only way to go. 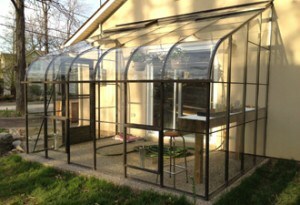 The best greenhouses are custom-built, passively heated, yet incorporate some supplemental heat for the coldest winter nights. A less-expensive option is to go with a South-facing extension off your house, capturing heat from your house as seen here. We caution against the less expensive greenhouse “kits” found online. If you’re going to go that route, just use cold frames! It’s a no-brainer that Coloradoans should be utilizing the little rainwater we receive each year (regardless of what the law says). Rain barrels are a great way to do that. However, keep in mind how much water is actually coming off your roof during a storm. It can often fill a rain barrel in just minutes. That’s a good thing, unless the barrel overflows somewhere it shouldn’t. Rainwater Harvesting Formula – For every 1” of rain and 1,000 square feet of impermeable surface (roof, driveway, etc), about 620 gallons are generated. The average rain barrel is 55 gallons, so you do the math! We suggest allowing the overflow to run around a well-mulched part of your yard with trees and/or good drainage. Plant these throughout your edible landscaping, and do your research. Some grow pretty big and bushy (elderberry), and some are roots that take two years to harvest (echinacea). If you need help this season, we’d love to come out for a home consultation to discuss ideas and develop a quote. Growing plants is the best thing to do. Nice photos of the plants. Keep writing more. Thank you. Thanks so much for this. My boyfriend and I are intent on moving out to Colorado when we finish school. Being an avid gardener (from the bountiful state of Michigan where I can throw any seed in the dirt and it will grow) I am hesitant on how the soil and water rights issues will keep me from having the garden of my dreams. Really cool article, as I deepen my research I will keep your site handy!!!! Thanks Meg! Get in touch when you guys get out here if you need any help getting set up! Moved to Westminster last October (2017), and I’m finally setting up my raised beds for my annual vegetables. I’m trying to grow what I actually like to eat. One year I planted too much Swiss chard and kale. I love to do my garden planning over the winter and wondered what your favorite tomato varieties are for Colorado? I’ve been gardening for over 30 years in three states including Colorado. I also want to know if you recommend a thornless blackberry. I’m making the most of my small urban lot. I put in two Beauty plums and 5 chokeberry bushes (Aronia, autumn magic). Chokeberries are wonderful in smoothies and jams, are high in antioxidants and are a lovely three season shrub. My zinnias grew so well this year I used them for a friend’s wedding. Can you email me?